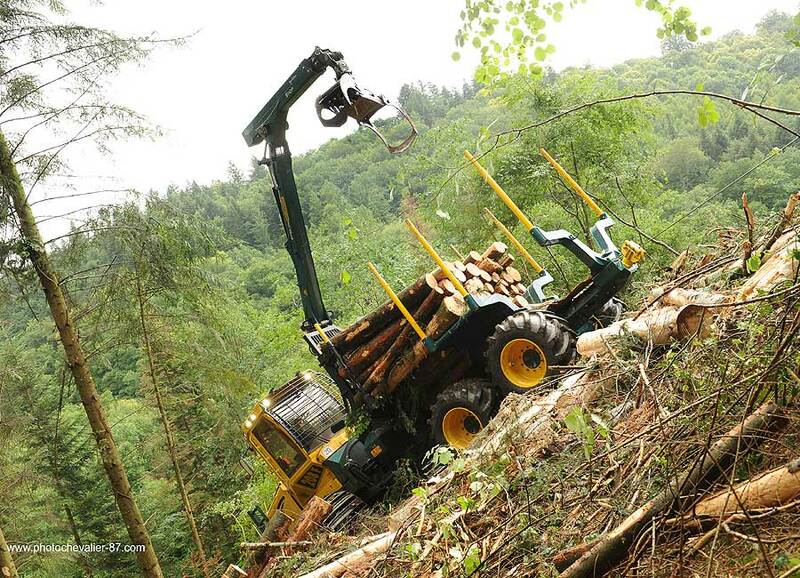 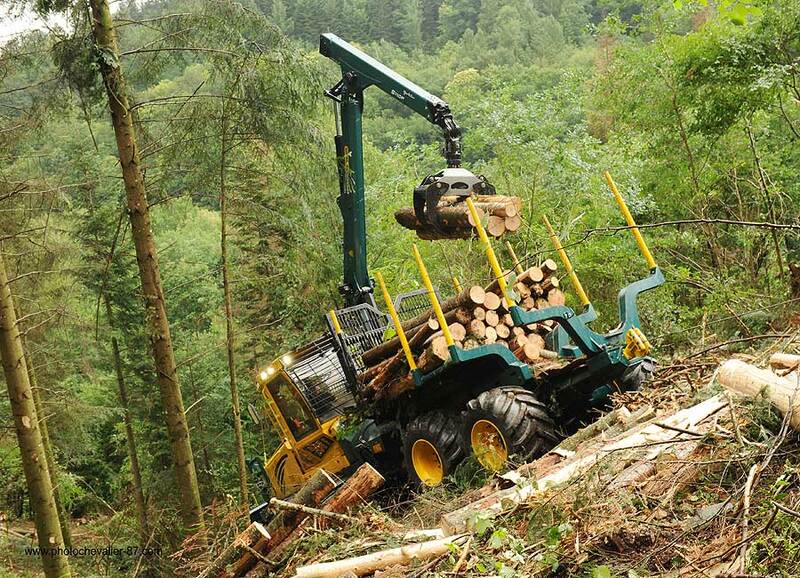 Until recently, fully mechanised short timber technology was not available for steep slopes.  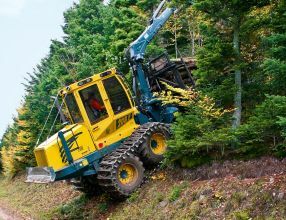 As a result, there is now a strong demand for suitable, high performance machinery that operates with as little ground damage as possible on sharp gradients at risk of erosion. 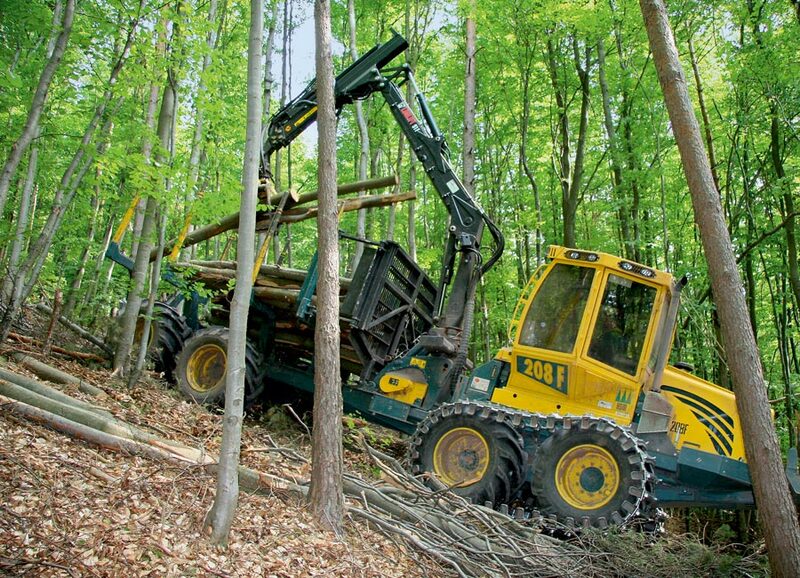 Thanks to remarkable innovative solutions, the ideal choice here is the HSM 208F forwarder for steep slopes. HSM has spurred on technology for forwarding from slopes and is investing further in this technology to satisfy the growing demands of its customers and to contribute towards their success. 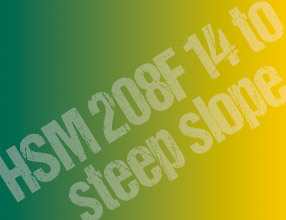 The "HSM Force Synchro Drive" employed for the steep gradient concept distributes forces to the cable and the wheel drive in accordance with user specifications. 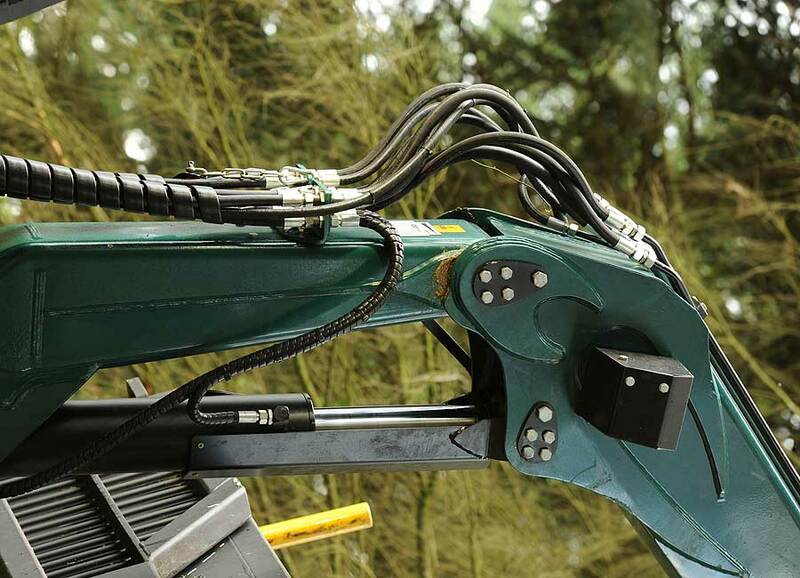 Once the user has preselected force distribution and the maximum cable force, the system regulates these forces automatically so as to avoid cable overload and above all ground damage. 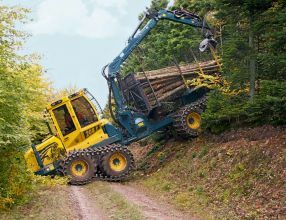 HSM stops at nothing here to offer an optimal performance package. 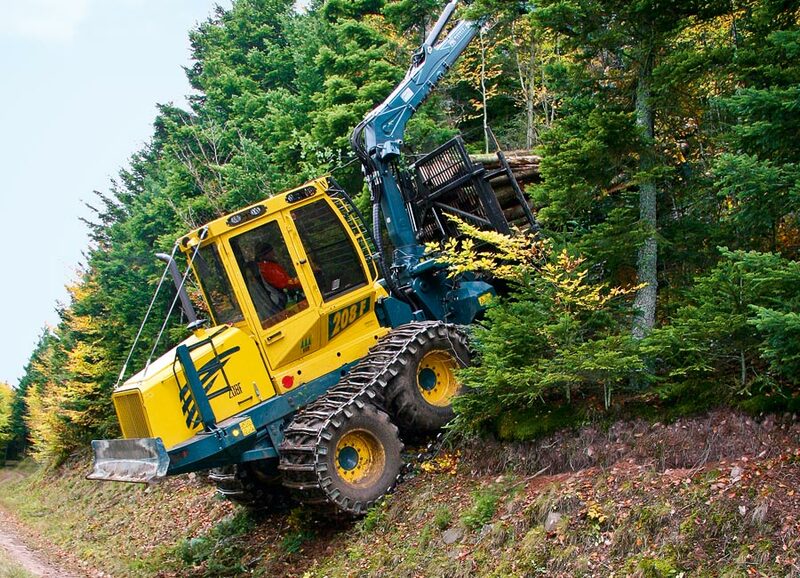 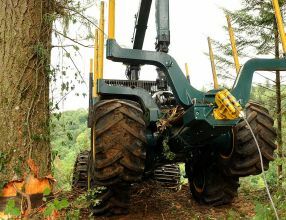 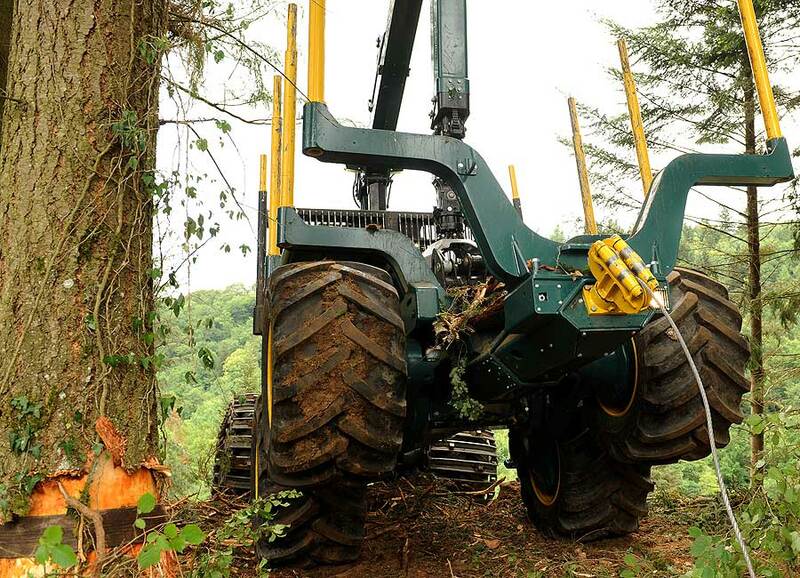 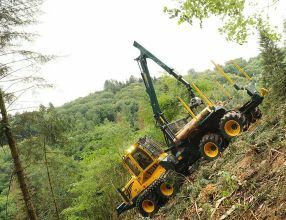 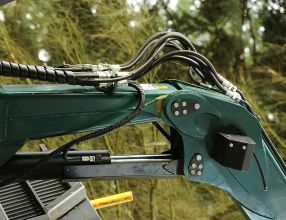 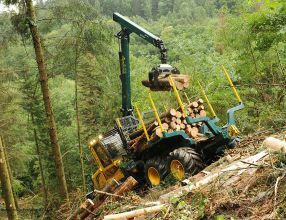 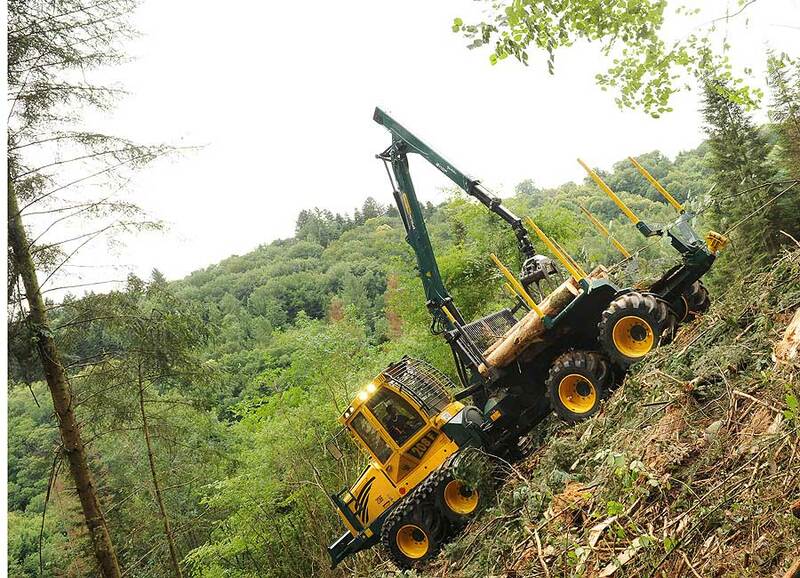 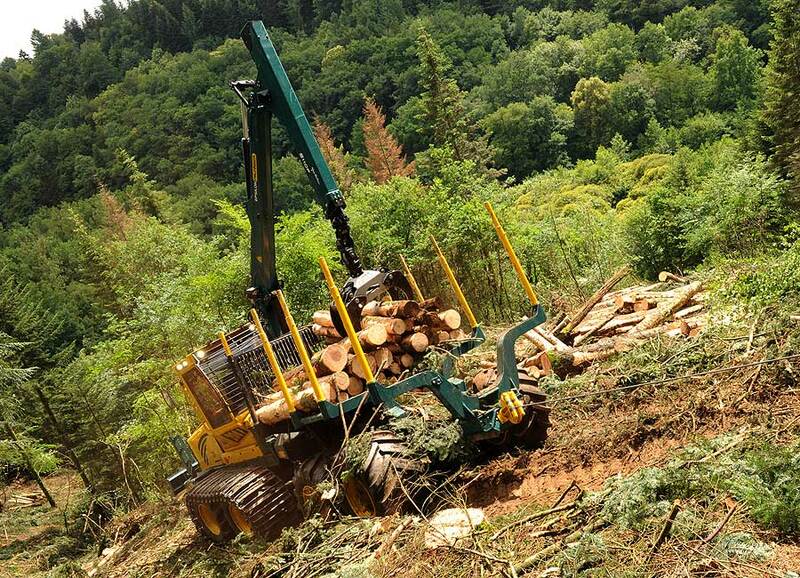 The HSM 208F for steep slopes fulfils all of the objectives that HSM has set itself in the design of special-purpose forestry machinery for over 50 years. 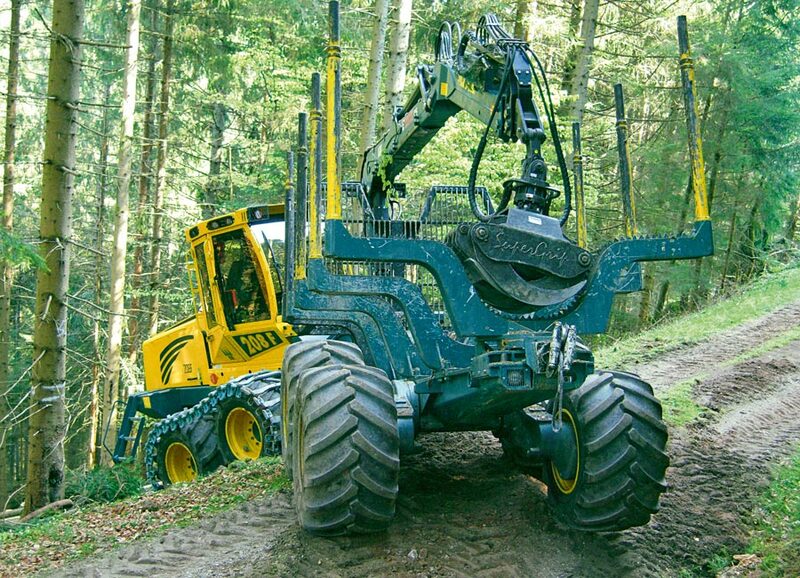 The highest performance potential with sustainable machinery deployment as a contribution towards modern, multifunctional forest management.